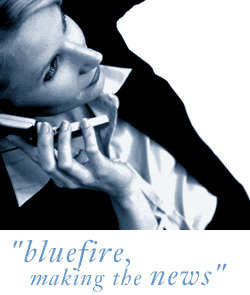 Bluefire Consulting | Team Leader (Telecoms Field Operations) : "Manager" "Telecoms" "Fast Paced"
We are looking to recruit a number of team leaders for our telecommunications client based in Central Birmingham. These positions are going to be working on a busy field operations site, and reporting into the site manager you will be responsible for the management, coaching and leadership of around 10 -15 engineers who will be providing installation services into the cable TV / broadband industry. This is a fast moving, KPI driven environment and as such, it is probably essential that you come from the telecoms field operations sector so as to have an understanding of the culture of the business, and any experience of working within a client / contractor arrangement would also be useful. The installation engineers working for you are all permanent members of staff, and will be split between one person and two person teams, working in the field across the Birmingham region. You will be responsible for ensuring performance and quality targets are reached, along with QC and audit of work, sickness and absence reviews and progression plans / training requirements for engineers. Performance is generally acknowledged to be in need of improvement in this region and an increase in quality is required from the field engineers. On that basis, previous leadership experience within field operations is essential and you should have a flexible approach to working hours in order to ensure the job is done and the customer is satisfied. These positions will be challenging and fast moving, but offer good chances of progression for the right people and could offer a formal route into team management for senior engineers who have perhaps taking acting management or leadership responsibility in the past. Working week tends to be 5 days from 6. Role involves a basic salary in the region of £23,000 plus vehicle and performance related bonuses that would typically be worth around £3000 - 4000 per year.